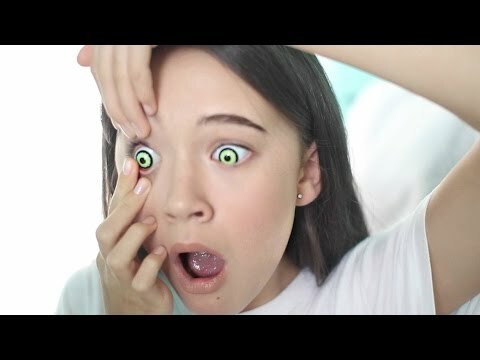 Ever wanted to know how your costume contact lenses are going to look before you buy? Will they be the right shade for your cosplay? Will they be bright and vibrant? - introducing Coloured Contacts new Virtual Mirror. This handy little feature allows you to do Virtual Contact Lenses Try On so you can be confident in your purchase. It couldn’t be easier to use and we think you are going to love trying on some of our crazier styles with your friends. Simply take a selfie, highlight your eyes once you have uploaded your image and you are ready to try on every pair in our store. 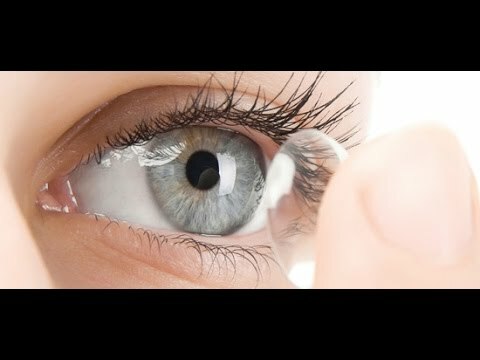 Before you know if you will be getting everyone you know to try contact lenses virtually. We know it can be a challenge to buy before you try but with a virtual eye colour changer online it has never been easier to shop from the comfort of your own home. Whether you have always fancied trying some classic baby blues or you want to transform yourself into a scary creature we know you will find the perfect lenses and after trying them on with our Virtual Mirror you can be even more confident that they will be the perfect match. One of the biggest challenges of shopping online for people with naturally dark eye colours is knowing for sure if a light colour will fully cover your brown iris. 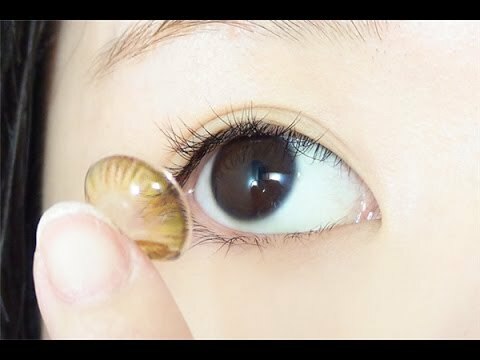 With this new feature, you will have a better idea of what coloured contacts on brown eyes could look like. We can’t guarantee all our contacts will work as coloured contacts for brown eyes but trying on the lenses using our virtual mirror will help you see what other colours may suit you. It can be quite a dramatic change to change from having dark chocolate brown eyes to light green or Halloween red. If you fall for your colour contacts virtual try on look then you can easily find the product the virtual version of you is wearing. This means you don’t have to hunt around on our website trying to find the same lenses! 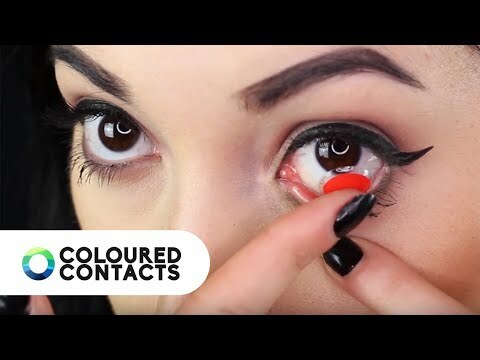 Simply add your new coloured contact lenses to the basket and head straight to the checkout. Need a second opinion? You can share your pictures on Facebook and ask your friends to vote for their favourite. That way you will know you are getting the best coloured contacts brand. Need a little more help? Why not tag us in your post or send a picture to our social media page? 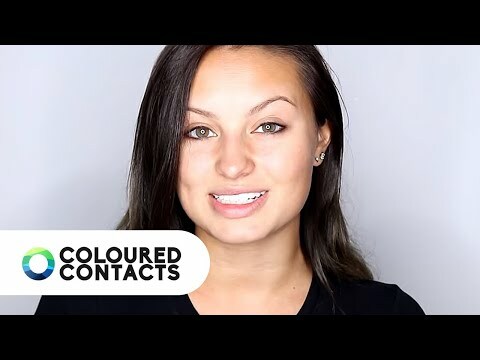 Our huge online community of coloured contacts fans are sure to help you pick the perfect style. Sometimes you try on coloured contacts but aren’t quite ready to buy. Save your picture for later and wait until payday to treat yourself. By downloading and saving your picture you can also upload it on other platforms to show your friends. Why not try some of the funky styles to give your friends a giggle? Whether you are part of a cosplay forum and are trying to find the perfect lenses for your next character or are looking for a natural new style to try like freshlook pure hazel shades, we know this new feature will transform your shopping experience! We would absolutely love to see your pictures from our Virtual Contact Lenses Try On so why not share your favourites with us on Facebook, Twitter or Instagram. When Shopping Online It Can Be Hard To Choose Your Perfect Product. With Our New Virtual Contact Lenses Try On You Can See Before And After Pictures Using Your Own Selfie!